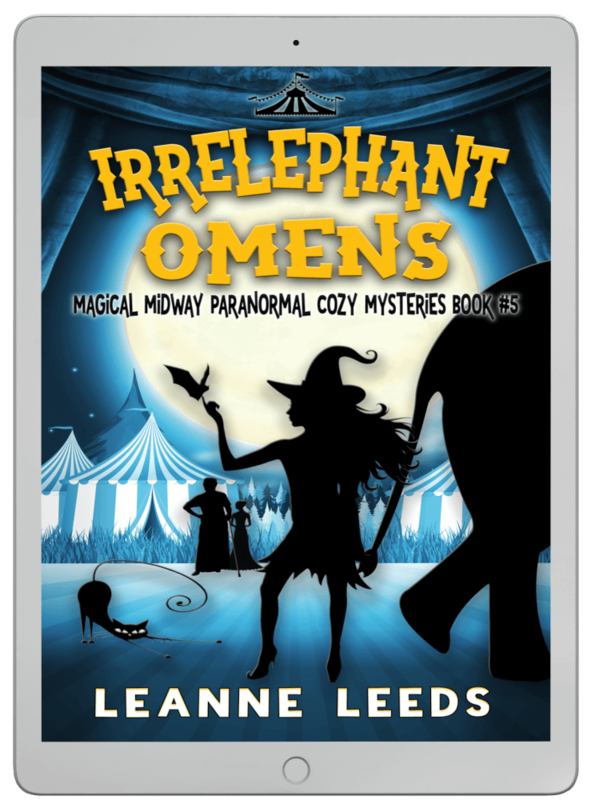 Leanne Leeds writes sweet, fun, often romantic but always fast-paced paranormal mysteries, fantasies, and romances. She lives in rural Texas with her husband, daughter, and a house full of cats that would sound like Samson if they could talk. Thanks for stopping by! I guess you want to know a bit more than the standard blurb above, hmm? …until I dropped out to join the circus. Because, like, why not? Okay, well, not the circus. I was a production assistant for a stage hypnotist as well as a carnie worker in a variety of food joints touring the Eastern seaboard fair circuit. The experience was relatively short but incredibly impactful on my worldview. Though I went limping back to my apartment in New York broke and had to get a “real job”, I maintained a lifelong fascination with eccentric, alternative and extraordinary lifestyles. This came in handy in my forties when I was laid off from a large publicly traded company in the middle of mass-layoffs that massacred the careers of nearly everyone I knew—at least for a short time. It was a frustrating end to a 20+ year career in an industry I had once loved but which I now… didn’t. That experience made me realize that I was ready to leave my twenty plus years in management and tech and do something different. I returned to my childhood dreams of being an eccentric storyteller and living my best weird life. The Magical Midway series was written as a nod to my experience with the showman of the east coast, and their incredible influence on me. I have plans for more paranormal-themed cozies, fantasies, and romances as time goes on, and I tend to produce one book every 2-3 months. These have minimal sexual content (in case that’s important to you). For dedicated fans, there will always be at least a week-long 99¢ pre-order phase on new books as a thank you. These are announced on the newsletter only, so if you’re interested in getting every future ebook under a buck, sign up! Thanks for going on this journey with me, and I hope you enjoy it as much as I do.